NC State DELTA Testing Services provides local proctoring services for students to take exams in a professional, secure and monitored setting. In compliance with the SACS Distance and Correspondence Education Policy Statement ensuring student authentication, students must present photo identification and secure login and password to access examination materials. It is the student’s responsibility to come in during the proper exam window set by the instructor. Students should arrive with enough time to complete exams prior to closing. No exam will be started after the last sign-in time. Verify the operating hours for the testing centers before planning your trip. Note that only certain classes are eligible to go to the Cox Hall Testing Center, verify your testing location with your instructor or contact DELTA Testing Services. 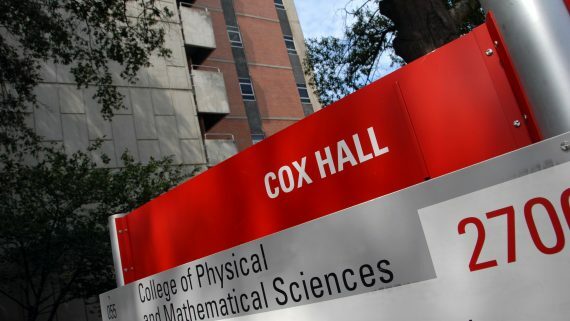 Check in with their NC State Unity ID and password. Present a valid photo ID (NC State Campus ID, driver’s license, passport, etc.). Secure all personal items and electronic devices in lockers. Comply with the NC State University Student Code of Conduct. Information on the types of academic misconduct can be found under section eight. NOTE: NC State is pleased to offer Online and Distance Education students and non-degree seeking (NDS) students an NC State Wolfpack One card, services located in the Talley Student Center on Main Campus. Students are able to deposit funds into an All Campus Account, an easy way to make purchases across campus using the Wolfpack One Card. 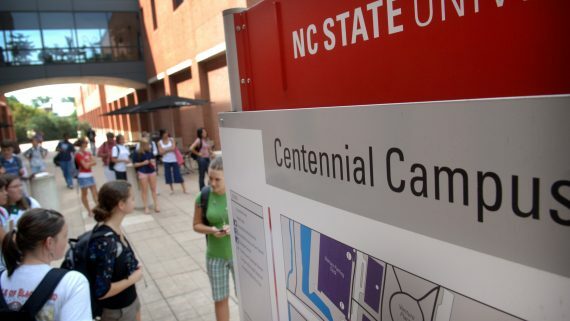 The card is accepted at NC State Dining, including vending machines, NC State Stores, including Wolfpack Outfitters, Wolf Xpress Print & Copy and State of the Art, and WolfPrint Campus Printers (*All Campus Account is the only way to pay for WolfPrint copies). Students studying in D.H. Hill Library and/or the Hunt Library prior to visiting DELTA Test Centers for exams would benefit from the Wolfpack One card. *Remote students are eligible to receive an NC State Wolfpack One card as distance education students. Cards can be mailed at no cost and are like other NC State Campus ID cards, with the exception of a student photo. No cell phones are allowed in the test room. No food or drinks are allowed in the test room. If you arrive late (i.e., near Testing Center closing time) you will not receive additional time. All facilities close promptly according to their posted hours. No exams will be started after the last sign-in time for each location. NOTE: Testing rooms are monitored with video surveillance and screen monitoring software. In this fun video, staff members from the NC State DELTA Testing Center go over five do’s and don’ts for students taking tests at the testing center. When you are ready to start your exam, sign in at laptops using Unity credentials. Prepare to display a valid photo ID. When your name is called, proceed to the Check-In Desk. The Proctor(s) will give specific instructions for your exam. Place all your personal belongings including: backpacks, hats, notes, food and drink, smart watches, and cell phone in an available locker. Hold onto locker key until exam is finished. Proceed to your assigned seat inside testing room. When you have finished your exam, checkout with the proctor. Print your name on any scratch paper and/ or notes you used and return these to the Check Out proctor. Collect your personal items from your locker, leave the key and exit quietly. Should classes be cancelled due to adverse weather, the Testing Center will also be closed.